Patients are more likely to open up and disclose information if they trust their pharmacist or healthcare professional, and a better quality of interaction may result in greater patient autonomy and shared decision-making. The concept of trust is important in healthcare because health and healthcare in general involve an element of uncertainty and risk for the vulnerable patient who is reliant on the competence and intentions of the healthcare professional. The Oxford English Dictionary defines trust as the “firm belief in the reliability, truth, or ability of someone or something”. High levels of trust have been associated with many benefits, including a perception of better care, greater acceptance to recommended treatment and adherence to that treatment, lower anxiety in relation to any treatment taken, and reportedly facilitates access to health services,,,,. 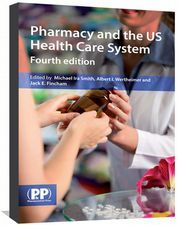 Patients are more likely to open up and disclose information if they trust their pharmacist or healthcare professional, and the quality of interaction may improve, resulting in greater patient autonomy and shared decision-making,,,,. A report published in 2015 on behalf of the General Pharmaceutical Council (GPhC), the independent regulator for pharmacists, pharmacy technicians and pharmacy premises in Great Britain, showed that public trust in advice from pharmacists was high (87% of those asked said they trusted a pharmacist a fair amount or a great deal), but the degree of that trust was significantly weaker in pharmacists than in other healthcare professionals (only 39% trusted a pharmacist a great deal). Perhaps this is unsurprising considering the Which? report of 2013, which found that mystery shoppers were given unsatisfactory advice during 43% of visits to 122 community pharmacies across the UK. Section 5 of the GPhC standards of conduct, ethics and performance is dedicated to ensuring all pharmacy professionals develop their professional knowledge and competence in life-long learning, with the requirement to “maintain and improve the quality of practice by keeping knowledge and skills up to date and relevant to the role and responsibilities”. In order to maintain public trust in their capabilities, pharmacists must meet standards of safe and effective practice throughout their careers. As such, they have an obligation to declare that they are fit to practise, and provide a minimum of nine continuing professional development (CPD) entries annually. Healthcare professionals begin to gain patients’ trust by being knowledgeable in their specific field of practice and, as a result, patients have confidence and feel secure in the advice provided. However, mistakes happen. Work is currently ongoing regarding the development of professional standards for error reporting, through which patient safety will be enhanced by sharing and learning from errors and near misses. There is a statutory duty of candour that dictates patients are given “accurate, truthful, prompt information when mistakes are made and treatment does not go to plan”. Patients are far more likely to trust pharmacists and healthcare professionals who are open and honest in their approach, admit to errors, apologise and do everything in their power to rectify any mistake (see ‘Box 1: Competence in knowledge — points to consider’). Consider SalvaDore (RPS) Faculty membership as an opportunity to evaluate your competence. Continuity of care: patients are entitled to expect that they will continue to receive all usual treatment and continue to be treated with dignity, respect and compassion. If a patient expresses a preference for their healthcare needs to be taken over by another team, the appropriate arrangements should be made for them to receive treatment elsewhere. All pharmacists and healthcare professionals are required to communicate effectively with patients and should adapt their communication style to meet the needs of the patient, in accordance with GPhC standards. Effective communication skills include an awareness of non-verbal as well as verbal communication. Actively listening to patients, without interruption, is important (see ‘Box 3: Ways to demonstrate active listening’). It is important that patients feel they are being listened to and given information in a respectful, non-judgmental way; this will help build a trusted relationship. Pharmacists and healthcare professionals should demonstrate empathy, as well as competence and confidence, to encourage full disclosure from patients. Reflection: processing and reiterating the information in your own words, while mirroring the behaviours a patient may be demonstrating. All healthcare professionals are required, as per NHS policy, to provide patient-centred care. Patient-centred care means that patients should be given the opportunity to have full involvement in all decisions affecting them. Pharmacists should ensure that when advising or counselling patients, shared decision-making is undertaken (i.e. providing patients with sufficient information they need to make an informed decision). Pharmacists must also accept the patient’s decision, even if it does not align with what they believe is in the patient’s best interest. The NHS shared decision-making website, which offers examples of decision aids that can be used during consultations. Ultimately, pharmacists and healthcare professionals must reflect on their practice and develop these skills over time. Pharmacists are expected to act with honesty and integrity to maintain public trust in and uphold the reputation of the profession. It is essential that patients have confidence in their pharmacist or healthcare professional’s ability to advise them appropriately and believe that they are acting in their best interests at all times. If patients feel pharmacists are being dishonest in any way, they are likely to lose their respect and credibility. Conducting the pharmacy business in an ethical manner is also important to build a trusting relationship by being open and honest in dealings with patients. For example, this may mean only conducting medicines use reviews (MURs) when there is a clear clinical need, despite the pressure of targets, or recommending the most appropriate non-prescription medicine product for the patient rather than the one with the greater profit margin. Patients need to know that they can trust pharmacists and healthcare professionals to respect their privacy and dignity, otherwise this may prevent them from being able to ask for advice or share information. If confidentiality of a patient is breached, it may not only harm the individual relationship with the patient, but also the trust that patient has built with any healthcare professional. Lack of privacy in community pharmacies was highlighted as a cause for concern in the GPhC ‘Public perceptions’ report, therefore, it is clearly important to patients. Investing in the designation of a private space or room in your pharmacy is highly recommended to nurture public perception of the availability of privacy in community pharmacy. Confidentiality is a legal requirement, the principles of which are embedded in the GPhC standards, with detailed guidance available separately. It is important that staff are trained so that they are not only aware of the laws and regulations, but also of how they apply in day-to-day practice. 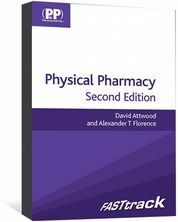 Some practical examples are included in ‘Box 4: Confidentiality in the pharmacy’. There may be times when pharmacists and healthcare professionals are asked to disclose confidential patient information. In the first instance, patient consent to do so should be obtained. If this is not possible or would undermine the purpose of the disclosure, the pharmacist or healthcare professional needs to be satisfied that the disclosure is appropriate and meets any legal requirements surrounding confidentiality. When unsure, further advice should be sought before divulging information. In addition, a full record of any requests or associated actions should be made; ultimately the pharmacist or healthcare professional must be able to justify any decisions and actions taken. Maintain confidentiality even after a patient has died. Post patients’ personal issues on websites, internet chat forums or social media (even if you do not name the patient, there may be enough information for people to make an educated guess as to whom you are referring). An important element of a lasting professional relationship is respect. The GPhC standards state that cultural diversity and the right for patients to hold their own values and beliefs must be respected. Pharmacists and healthcare professionals have an obligation not to allow any personal prejudices they may hold to detract from providing the highest quality patient care. Professional boundaries must also be maintained at all times; if these are crossed, patients may lose trust and confidence in pharmacists, healthcare professionals and the profession. Every patient deserves to be treated with dignity and respect, and by encouraging patients to deliberate and make choices through shared decision-making, patient autonomy is upheld. Being compassionate, spending appropriate time with patients, demonstrating active listening, and helping to advise and resolve the patient’s problems will all contribute to building a trusting, respectful relationship. Pharmacists and healthcare professionals have a moral obligation to build trust with patients and represent their profession in a trustworthy manner. It is important to remember that trust is a fragile concept; once interpersonal trust is lost, it can be difficult to rebuild. The GPhC’s ‘Consultation on standards for pharmacy professionals’ contains many standards that are important for the development and maintenance of trusting relationships with patients. Specifically, the requirements: to provide patient-centred care; to communicate effectively; to maintain, develop and use your professional knowledge and skills; to behave in a professional manner (specifically to be trustworthy and act with honesty and integrity); and finally, to respect and maintain patients’ confidentiality/privacy. Under often difficult and stressful working conditions, pharmacists and healthcare professionals should strive to raise standards so that every opportunity to interact with, or on behalf of, patients helps towards building and maintaining trust. Alaszewski A. Risk, trust and health. Health Risk Soc 2003;5(3):235–239. Caterinicchio RP. Testing plausible path models of interpersonal trust in patient–physician treatment relationships. Soc Sci Med 1979;13:81–99. Joffe S, Manocchia M, Weeks JC et al. What do patients value in their hospital care? An empirical perspective on autonomy centred bioethics. J Med Ethics 2003;29:103–108. Jackson LA, Putnam W, Twohig PL et al. What has trust got to do with it? Cardiac risk reduction and family physicians’ discussions of evidence-based recommendations. Health Risk Soc 2004;6(3):239–255. Booth ML, Bernard D, Quine S et al. Access to health care among Australian adolescents: young people’s perspectives and their sociodemographic distribution. J Adolesc Health 2004;34:97–103. Gilson L. Trust and the development of health care as a social institution. Soc Sci Med 2003;56(7):1453–1468. Thom DH & Campbell B. Patient–physician trust: an exploratory study. J Fam Pract 1997;44(2):169–176. Gopichandran V & Chetlapalli SK. Factors influencing trust in doctors: a community segmentation strategy for quality improvement in healthcare. BMJ Open 2013;3:e004115. Bell L & Duffy A.A concept analysis of nurse–patient trust.Br J Nurs 2009;18(1):46–51. 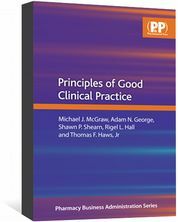 Rowe R & Calnan M. Trust relations in health care: developing a theoretical framework for the “new” NHS. J Health Organ Manag 2006;20(5):376–396. Rørtveit K, Hansen BS, Leiknes I et al. Patients’ experiences of trust in the patient–nurse relationship—a systematic review of qualitative studies. Open J Nurs 2015;5:195–209. Centre for Pharmacy Postgraduate Education. Consultation skills for pharmacy practice: taking a patient-centred approach. 2014. Duggan PS, Geller G, Cooper LA et al. The moral nature of patient-centeredness: is it ‘‘just the right thing to do’’? Patient Educ Couns 2006;62:271–276. Hupcey JE & Miller J. Community dwelling adults’ perception of interpersonal trust vs. trust in health care providers. J Clin Nurs 2006;15:1132–1139.